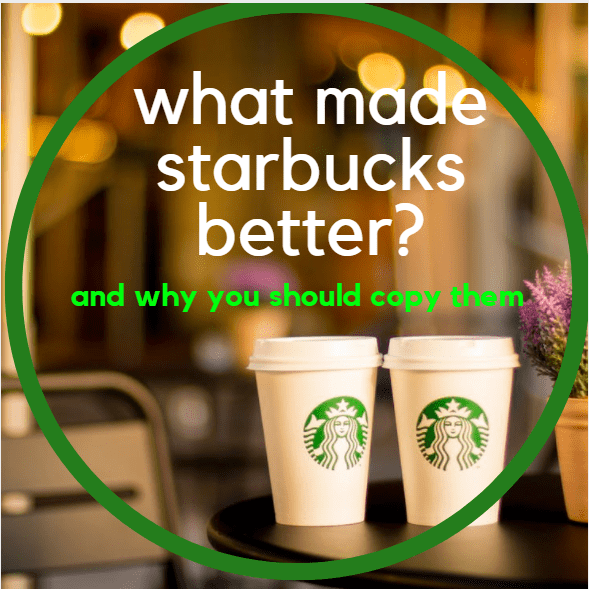 What can you learn from Starbucks? Obviously, they were successful. So how did they do it? In a word… "INNOVATION!" Customers don't go to Starbucks to pay $5 for a cup of coffee. They pay $5 for the "experience" they enjoy at Starbucks. Starbucks innovated their stores to give their customers what they "wanted." Customers don't want to buy their coffee from a clerk. They want to buy it from a "barista." They don't want to buy coffee from a convenience store or a fast food restaurant. They want to buy their coffee from a specialty coffee establishment where the barista knows them by name and knows what they want to drink without them having to ask for it. In short… they want an "experience," and they're willing to pay $5 a cup to get it. Do you know exactly how to find that "sweet spot" that your competition knows nothing about? Do you know how to use that "sweet spot" to instantly attract new clients whenever you want? Would you like to finally understand how to separate your business from all of your competition? Would you be interested in positioning your business for market dominance? You can learn to do this for your business… IF you can discover specifically what your customers want… and create an experience that compliments what they want. There are many who follow me that are focused on Amazon FBA, and too many of them don’t realize that to succeed long term you have to understand how to not just get people to buy your product but keep them. Ask yourself this, why should someone buy your product versus all the others out there?